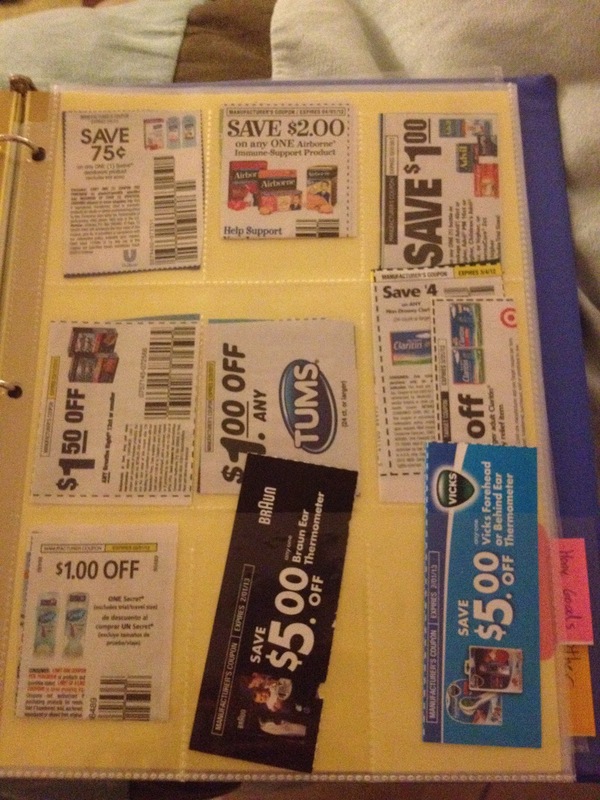 In an effort to help save our family money, I clip coupons. 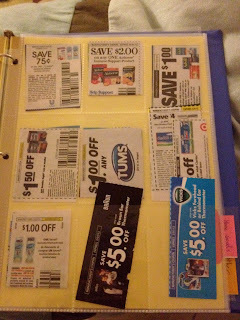 I am not an extreme couponer by any means, I just spend 10-20 min a week clipping or printing coupons that I know our family will use to save us some money. Part of the trick, is actually USING the coupons and making sure they don't expire, or that you buy the right amount/brand/combination of items. This is the best way for me to keep them organized, I hope that it will help you too. 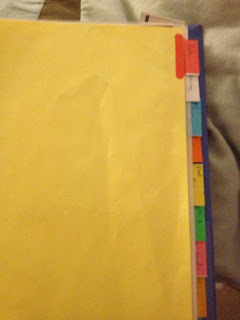 These are the categories that work the best for me, after I cut and sort them, I put them in my book. My book is a 1/4 inch 3 ring binder with dividers and trading card holders. This works great because I can reference it when I'm making my shopping list, and check it while I'm at the store. It is also nice to be able to easily see expiration dates and how many products I need to by at a glance.